SMA is the largest inverter company in the world making dependable as well as efficient inverters . SMA has come out with a newer version of the US-22 transformers inverters, the Sunny Boy SB-US series. 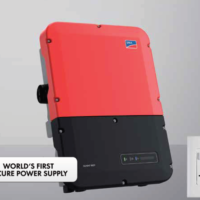 The new Sunny Boy 3.0-US to 7.7-US inverters are once again, transformerless and again include the Secure Power Supply (SPS) which now allows you to access 2000 watts of power if the grid fails, as long as the sun is out. 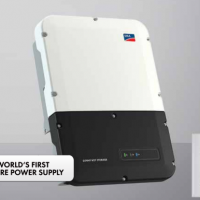 In addition, the newer line of inverters includes improved communication features using a smartphone and the inverter has built in ethernet and WLAN connections — no need to purchase additional equipment. 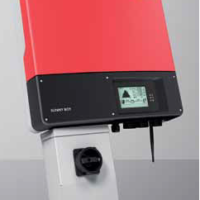 The Sunny Boy US series also includes an integrated DC disconnect. 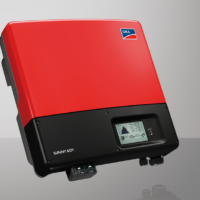 All SMA Sunny Boy inverters come with built-in LCD digital monitors, and standard 10-year warranty (extendable). If you need help choosing which inverter best fits your needs, call at at (415) 388-0838 or email sales@beyondoilsolar.com .